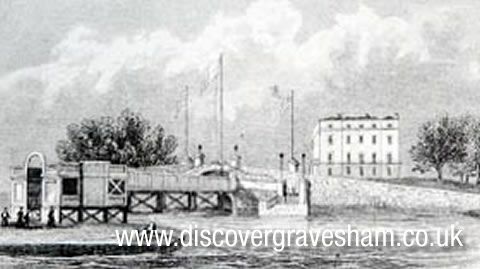 The watermen objected to the building of a pier at Gravesend as it threatened their livelihood, but Gravesend Corporation felt that the town should have one. Promising compensation to the watermen, they asked Parliament for permission. 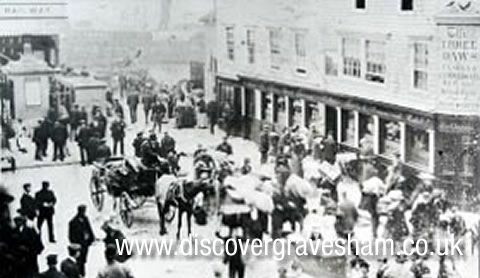 On the night of 22 june 1833, when the watermen heard that the Pier Bill had been passed, they angrily attacked the temporary jetty at the Town Quay and the local militia were brought in to break up the riot. 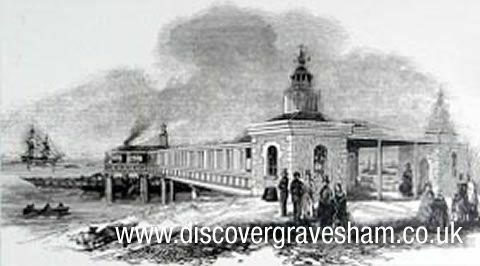 The Town Quay Pier was completed in 1834, but soon faced competition from the new private Royal Terrace Pier nearby, which charged users less. The Town Quay Pier bankrupted the Corporation and was eventually sold to the Tilbury and Southend Railway.